This comprehensive, stand-alone residential code establishes minimum regulations for one- and two-family dwellings and townhouses up to three stories. It brings together all building, plumbing, mechanical, fuel gas, energy and electrical provisions for one- and two-family residences. 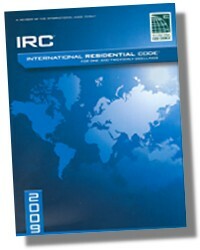 The International Residential Code® (IRC®) was created to serve as a complete, comprehensive code regulating the construction of single-family houses, two-family houses (duplexes) and buildings consisting of three or more townhouse units. All buildings within the scope of the IRC are limited to three stories above grade plane. 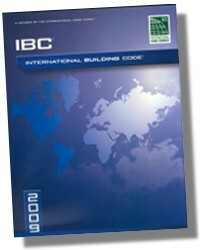 For example, a four-story single-family house would fall within the scope of the International Building Code® (IBC®), not the IRC. The benefits of devoting a separate code to residential construction include the fact that the user need not navigate through a multitude of code provisions that do not apply to residential construction in order to locate that which is applicable. A separate code also allows for residential and nonresidential code provisions to be distinct and tailored to the structures that fall within the appropriate code’s scopes. The IRC contains coverage for all components of a house or townhouse, including structural components, fireplaces and chimneys, thermal insulation, mechanical systems, fuel gas systems, plumbing systems and electrical systems.